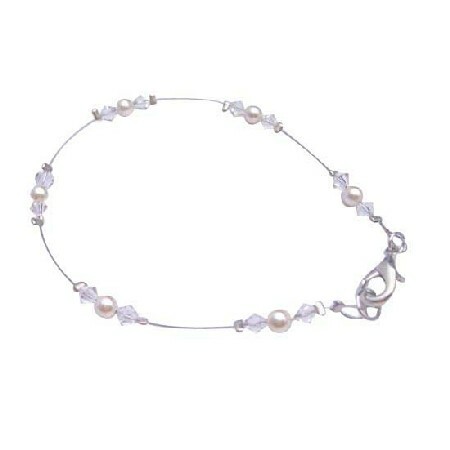 This is Gorgeous Wire Bracelet with Clear Crystals 4mm bicone & Ivory Pearls is designed using Crystals & Pearls this adorable bracelet is perfect for anyone the classy simple design makes it the perfect accessory for any occasion. going to LOVE this handcrafted bracelet! cannot be resisted they are so rich.